﻿ Creating the home-cooked business: What's on Chef's Menu? Creating the home-cooked business: What's on Chef's Menu? There is a saying that the taste of any food cannot match up with the hands of a mother as she has an excellent knowledge about the mix and match of items. Home cooks bring a unique offering i.e. the delicious food that is cooked only at home kitchens with an extremely personalised recipes. Year 2015 can unarguably be titled as the year of food-tech in India. The impeccable thirst of buying it all, be it an enduring ambience, high quality food, convenience or irresistible cuisines at a reasonable prices, is spoiling greedy customers’ today. The common breakfast table conversation in Indian homes- What to make for dinner? - is now increasingly being replaced by- what to have for dinner? The notion is already changing with the online food ordering trend catching up. Answering the Daunting Question- Aaj Khane Mein Kya Hai? Conceptualised as a solution to the perennial dilemma of every food enthusiast, Saurabh Saxena, an IIT Mumbai alumnus, launched Holachef, a platform where professionals and amateur chefs can sell their meals. Always battling between academics and his passion, Saxena first encountered entrepreneurial thrust with Aakar Knowledge Solution in April 2006. The journey from Aakar to venturing into the food space with Holachef has been both insightful and fascinating. “Like any classic story, ours too began in a basement, except that it wasn’t as much of basement, but our dinner table. All we wanted was to have some good food delivered to us without burning a hole in our pockets,” points Saxena. The online food business is turning out to be the next big hit for the start ups for both home chefs and professional chefs. Home cooked chef’s concept is very much different from the Dabbawala or Tiffin services. It is also an option for those people who don't have the funds to open a full-scale catering business. There are many advantages for the start-ups as it is a low budget, part-time working hours for the housewives making it a profitable business. These home based chefs can earn very well on an average. 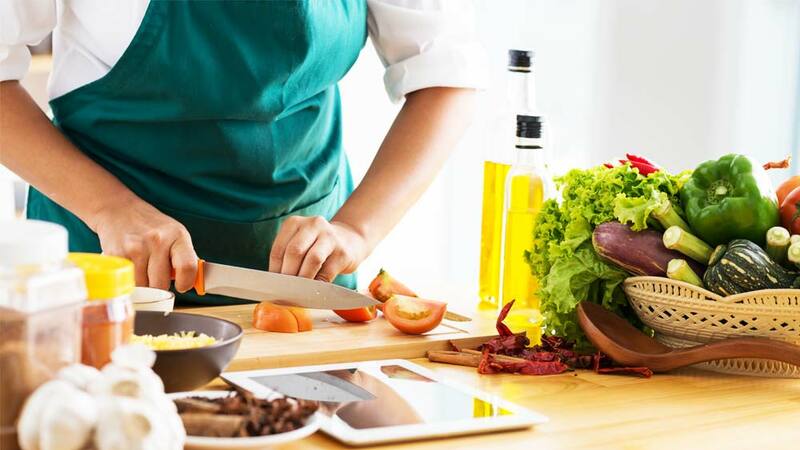 To open a home chef business one has to have a perfect business plan and effective financial planning, through marketing and making the most of the internet, training and certification. Package items which are convenient option for today’s generation like frozen pancakes and waffles, instant oatmeal or maggie, sandwiches etc are not only contains preservatives but also contains added sugar, fats, additives which is not at all healthy. Therefore, it is preferred to have homemade food which contains nutritious values and does not lead to food borne diseases. “It’s like comparing chalk with cheese or comparing the goodness of mom's kheer to the plastic instant noodles. A home cook takes pride and joy in hand selecting each ingredient and cooks food with personalised attention and care. This surely cannot be compared to a factory made packet of food lying on the isle of a department store for months”, pointed Sheetal Bhonsle, Co-Founder at Once Upon My Kitchen. Home cooked food is not a desire for the food lovers and working population but crave for those authentic flavours which can’t be understood by anyone else. So, they cannot afford to miss out that opportunity to get food from these home cooked chef’s kitchens. A design that blends with food!! !..